Youtube Announces Paid Subscription Service: Youtube Red | Android News at HighOnAndroid.com! Earlier today Youtube dropped a pretty big announcement that we’ve all been expecting for quite awhile now. Starting on October 28, Youtube users will be able to sign-up for a $9.99 per month subscription service to get ad-free Youtube streaming and other premium exclusives. All of the content on the paid service will still remain available for ad-supported viewing for the time being, so you do not have to pay to continue using Youtube as you currently do. There will be some exclusive collaborations upcoming with big Youtube stars like PewdiePie, which will require the subscription service to view. Perhaps the most exciting news from the announcement is that Youtube Red will be bundled with Google Play Music All Access. 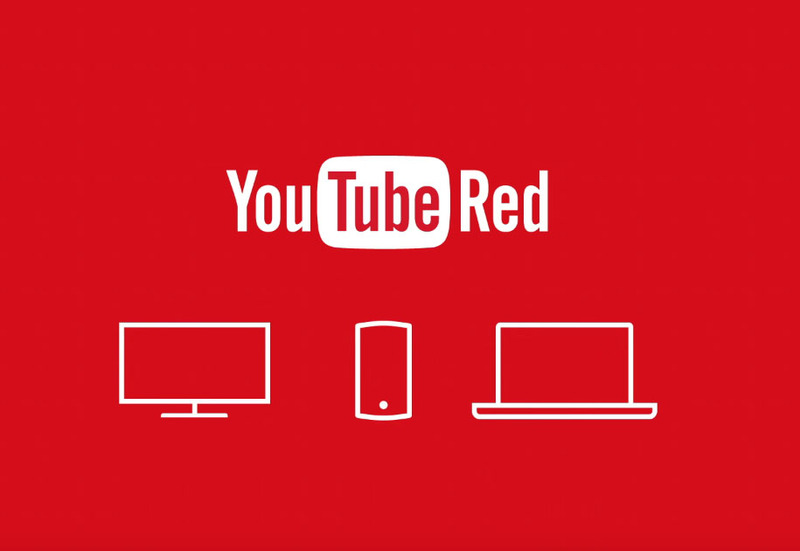 If you have All Access now, you will instantly get Youtube Red starting next Wednesday. On the flip side, if you sign up for Youtube Red, you will also get access to Play Music All Access. I’d say this makes for a pretty good value at $9.99 per month. Ad-free playback. The only ads you will see are creator product placements incorporated into the video, none sponsored by Google. Ability to download videos or music for offline viewing or listening. You can also adjust the quality of the content you store. The stored content will remain available for 30 days. Background Audio Play…the ability to uh, listen in the background, with your screen off. Future exclusive content created by Youtube in collaboration with some of the biggest creators. You can find more info in Youtube’s blog post. Google also announced a new Youtube App called Youtube Music which will make it easier to find tracks and music videos if that’s all you’re looking for. One concern, especially for all of us here at HOA, is how this will affect creators ability to earn revenue from their Youtube Channel. It seems Google will continue paying a similar percentage to creators for subscription revenue, but pay out based on minutes watched by subscribers, instead of ads viewed. At this point it is still unclear exactly how that amount will be distributed among videos watched by a particular subscriber, but details should be forthcoming in the next few weeks. Hopefully the system works great and viewers and creators both benefit. UPDATE: Social Blade has posted some of their thoughts on how the pricing will work. Apparently the split will be equally divided among all content creators watched by a given subscriber, according to them. You can read their thoughts here: Social Blade Thoughts on Youtube Red. Do you think Youtube Red is a valuable service? Would you rather just use adblock software? Previous story Verizon Tweets Official Teaser Video for Droid Turbo 2!